Here’s a Persian/Iranian green and gold dish that can be a main dish or served as a sort of dip. 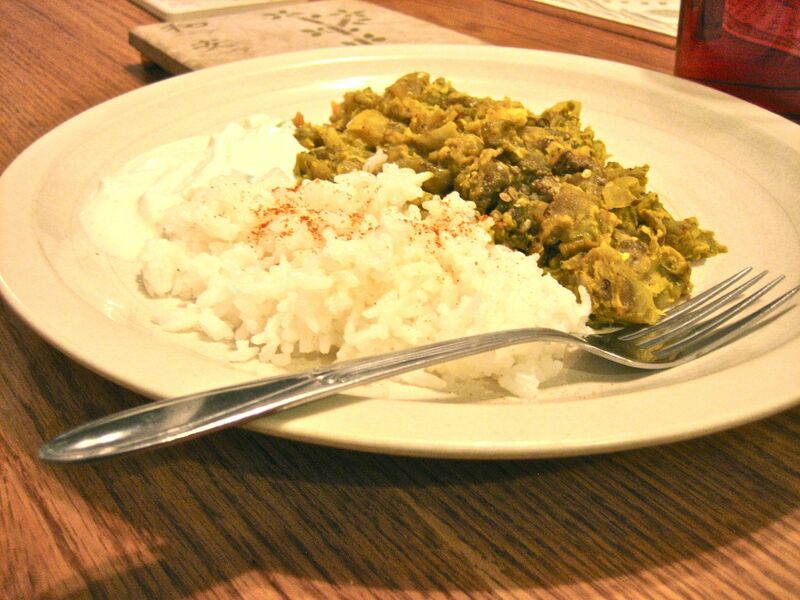 This dish is green and gold from eggplant and turmeric/scrambled egg, respectively. I was introduced to this dish at a local restaurant with Iranian proprietors. I’ll need a little more practice to bring it up to their delicious level.